Welcome to Stody Estate, a family-run, diversified and ever-evolving estate located in the heart of North Norfolk’s finest rolling countryside. 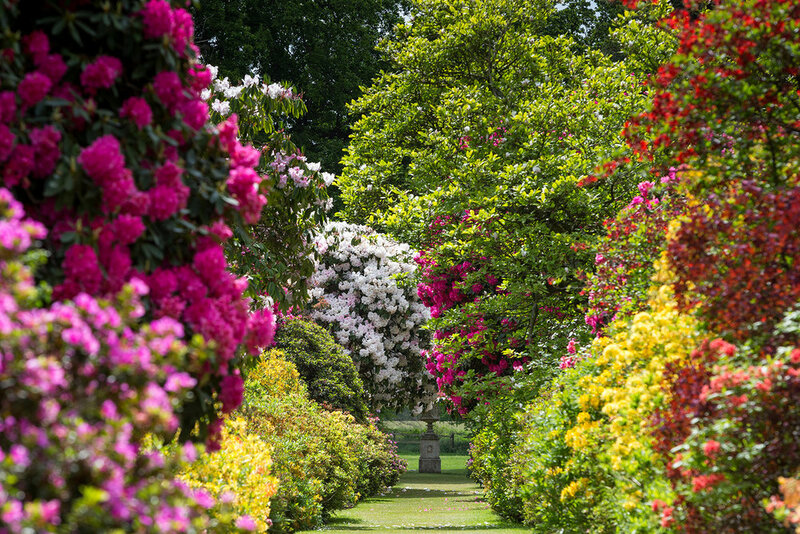 We offer visitors access to one of the largest and most dramatic rhododendron and azalea gardens in the country and, through our unique selection of commercial and residential properties, the opportunity to live and work in the beautiful Glaven Valley. The Estate also has extensive farming, conservation, forestry, water management and renewable operations as well as a strong commitment to education and local charities. Stody Lodge is renowned for its extensive collection of rhododendrons and azaleas which burst into spectacular colour each spring. A walk through its stunning four-acre Azalea Water Gardens, believed to be the largest single planting of brightly-coloured azalea mollis in the country (over 2,000 plants), is a truly unique experience. In and around the attractive villages of Stody, Hunworth, Edgefield and Hindringham, the Estate owns and lets a range of mixed-use commercial buildings and currently has several sites available for development. It also lets a wide variety of picturesque residential properties, varying in size from one to six bedrooms. This spring Stody Lodge Gardens will once again welcome the public to enjoy its magical colour and woodland walkways. Alongside a special early opening on Sunday 28th April to enjoy the garden’s incredible collection of over 40 varieties of daffodils, this year the gardens will also host a range of special events and fun activities. Please click below for more details.